The Belgian Audi Club Team WRT squad has taken its first Nurburgring 24 Hours victory in the 2015 running of the classic event. 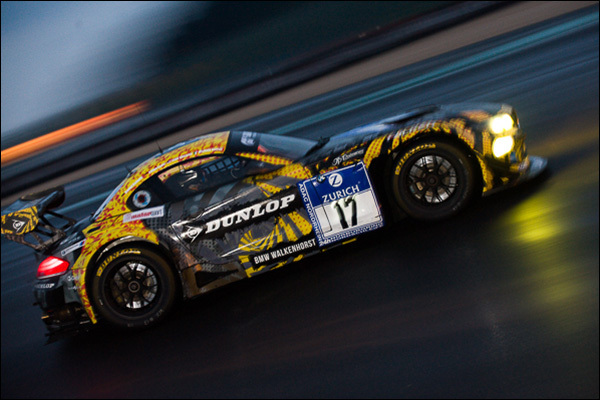 Belgian Blancpain GT champion Laurens Vanthoor, German ace Christopher Mies, Swede Edward Sandstrom and young Swiss DTM driver Nico Mueller piloted the #28 new-generation Audi R8 (below) to its first-ever 24-hour race win, backing up its earlier victory in the six-hour VLN2 race. After an eventful opening third that saw many front-runners eliminated, the race boiled down to a game of strategic cat-and-mouse between the winning Audi and the #25 Marc VDS BMW of Maxime Martin, Lucas Luhr, Richard Westbrook and Markus Palttala (below). Throughout the pre-dawn and early-morning hours, the rival Belgian teams traded the lead with clockwork regularity, but slightly better pace and fuel economy allowed the Audi to gradually pull ahead and eventually make the lead definitive at lunchtime on Sunday. 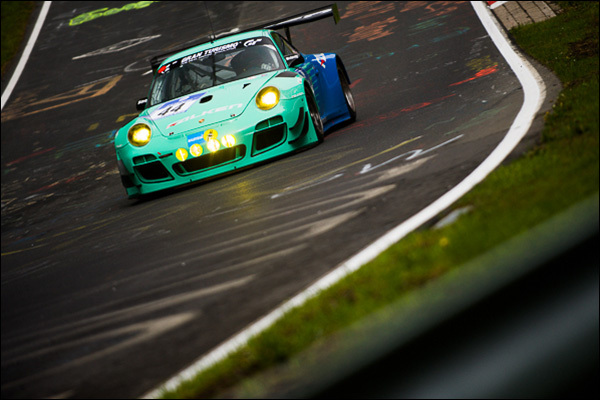 Behind them, the veteran #44 Falken Motorsport Porsche (above) had a superb run to third place overall. 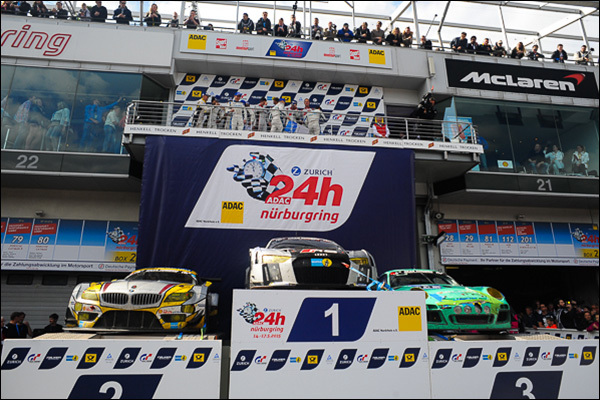 Although not able to live with the leading Audi and BMW’s pace, the 911 of Peter Dumbreck, Martin Ragginger, Wolf Henzler and Alexandre Imperatori stayed mostly out of trouble and lapped consistently throughout the final two-thirds of the race to take a well-deserved podium. 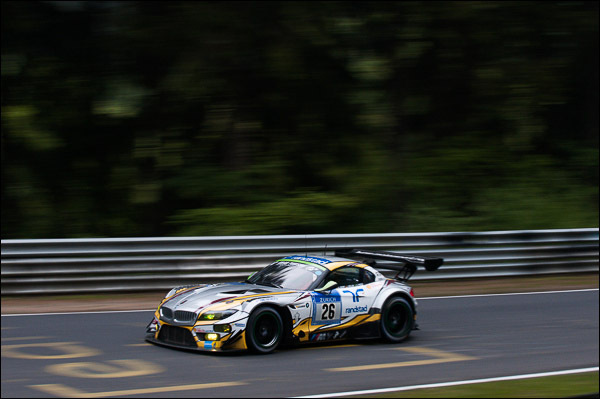 Marc VDS will take some consolation on again missing out on a big 24-hour race victory from the fact that it brought both its cars home to a strong finish. 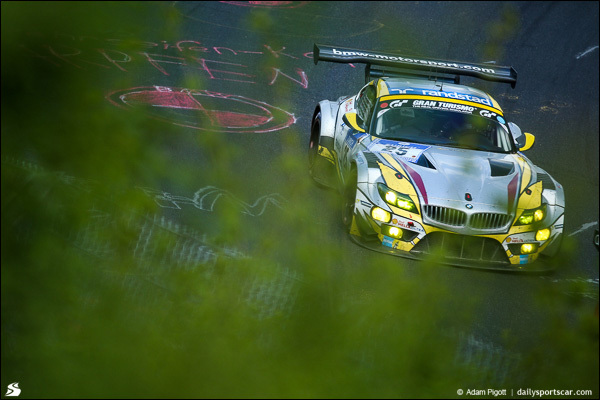 The pole-winning #26 Z4 GT3 (above) of Farfus, Joerg Muller, Nick Catsburg and Dirk Adorf had contested the lead in the early stages, but lost several minutes with a serious pit fire that fortunately resulted only in minor injuries among the crew. Both Black Falcon Mercedes had the pace to run at the front early on, but the #2’s challenge became unstuck – along with its left-rear wheel – around four and a half hours in. 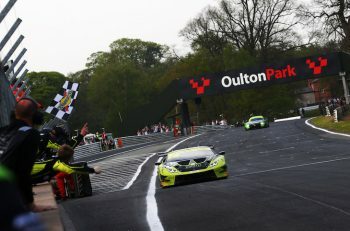 Driver Adam Christodolou mounted an inspired repair effort at the side of the track, but once the car was eventually returned to its pit garage it was deemed unable to continue. The #5 Black Falcon Mercedes (above) had a solid run to fifth overall in the hands of Abdulaziz Al-Faisal, Yelmer Buurman, Hubert Haupt and Dutchman Jaap van Lagen – one of several drivers pulling double-duty in both the World Touring Car Championship and 24-hour races this weekend. Neither of the fancied ROWE Racing Mercedes made the finish, one retiring in heartbreaking fashion with just over an hour to go, while the Haribo and Zakspeed entries were among the early retirements in difficult wet-and-dry track conditions. Significant retirements earlier in the race included both the #1 and #4 Phoenix Audis, the former crashing out of the lead in dramatic fashion at Pflanzgarten with Christian Mamerow at the wheel shortly after 1am and the latter later in the night when Marc Basseng went off on oil. Neither Schubert Motorsport BMW finished, either, both hitting the barriers during the spells of heavy rain that hit the early hours, recovering to the pits but proving impossible to repair. The less well-known Walkenhorst BMW squad had a quieter but more effective race, with the #17 Laser/Cerruti/Edwards/Keilwitz (below) coming home a very creditable sixth overall. 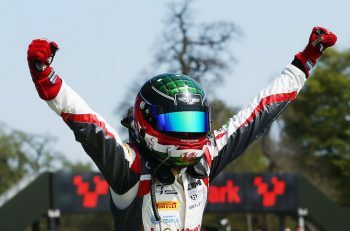 Audi backed up its win with a speedy recovery drive to seventh from the sister #29 WRT car following a long stop to repair early-race front-end damage, however British brands Bentley and Aston Martin both had tough races. 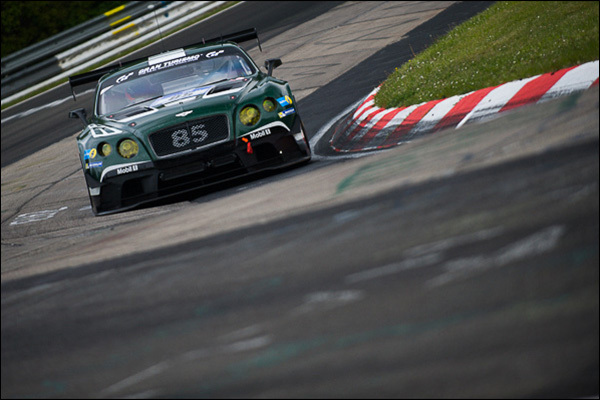 The distinctive #85 Continental (above) suffered heavy damage in an early-race shunt, but the team managed to return it to the track well down the order and get in some valuable testing mileage for future Nordschleife events. The #84 had a trying race, first suffering a damaged door and a fuel leak and then retiring for good later on. Salvaging some pride for the brand was the eighth-place HTP car of Seefried/Bruck/Schmid/Clemens, the sole Conti running on Pirellis. Aston Martin (above) had the pace to finish much higher than the #007’s eventual classification of 17th, but the car was caught out by the same oil that eliminated the #4 Audi. 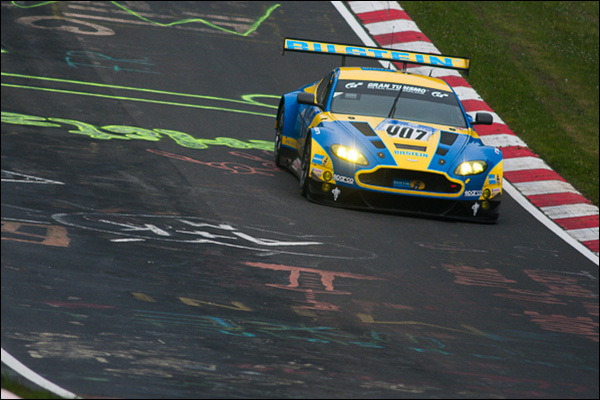 In this case, however, a belated recovery to the pits allowed the Aston crew to get the car back together and back out on track to mount a fightback. The sister #6 car was taken out by gearbox trouble. 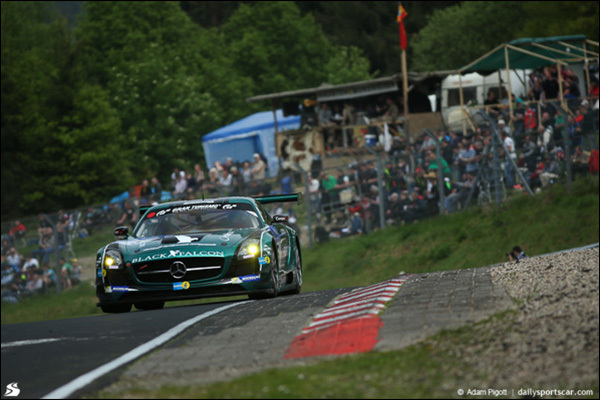 Completing the top 10 were the #35 RJN Nissan of Buncombe/Krumm/Hoshino/Ordonez, which ran a dogged race struggling against pit-stop penalties and an uncooperative speed limiter to come home ninth and the #33 Premio Racing Mercedes with another WTCC ‘double-jobber’ aboard in the form of Brit Rob Huff (alongside Heyer, Frommenweiler and Krognes) rounding out the top 10.